Often referred to as Tirtharaj or King of Pilgrimage, Amarkantak lies at an altitude of 1000m in Madhya Pradesh. It falls at the junction of three Indian ranges – Vindhyas, Satpuras, and Maikal. Legend has it that Sone and Narmada wanted to marry each other, but Sone refused, and so it flowed eastwards to join the Ganges. The Narmada, on the other hand, flowed towards the west and eventually reached the Arabian sea. Son and Narmada are two holy rivers that originate in the area. Amarkantak is a pilgrimage for Hindu as well as Jains. There are many temples in this town. Narmada Udgam temple is one of those temples, and it was built to spot the source of Narmada river and is considered to be the holiest temple in the whole Amarkantak. Around the temple, there are several other white-washed temples. But these are new temples with the new structure. Around the area, the oldest structures are from Ancient Kalachuri Period, which is actually located opposite to Narmada Udgam Temple. 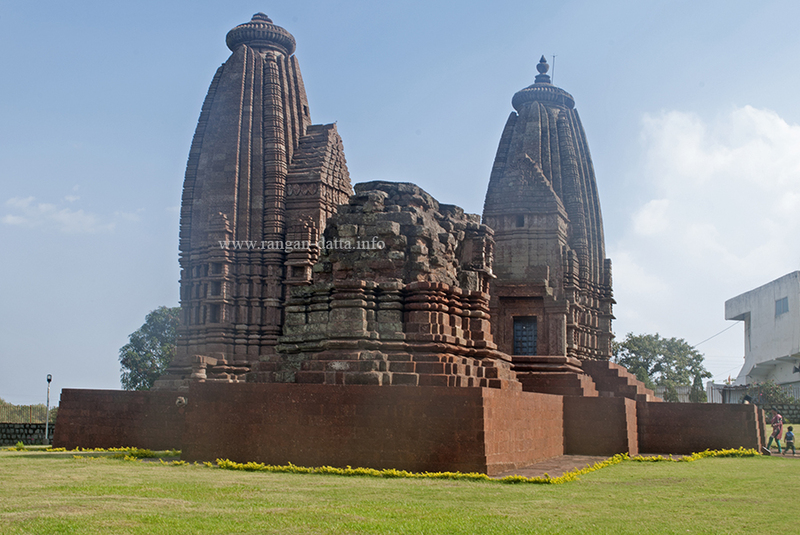 They were built by the Kalachuri kings who ruled central India during 10th – 12th century. Shankara installed the idol of Lord Shiva in Pataleshwar Temple, as proclaimed by most people. But it’s still a mystery since the temple was built later than the reign of Kalachuri King Karnadeva. The temple style belongs to the Nagara style of architecture – it is crowned with pancharath sikhara and has pyramidal mandap. Among others, Karna temple is the largest temple and the most prominent temple in the complex. Other temples include Johila temple, Vishnu temple, and Shiva temple. Another interesting temple is the Pancha Math temple. It is a series of five small temples of different architectural style that’s located on a single raised platform. Archaeological Survey of India protects the complex and is well maintained. However, the sad part is that this beautiful monumental temple is hardly visited in the modern age.